THE many facets of Julie Turner's life are woven into her photography. Her working dogs, which are vital to the family's cattle operation 30kms outside of Clermont, are often centre stage. They are used to model the hand-made collars she sells through an online business. Then there are images of her community, the country faces that make Clermont a great place to live. And, her children Matilda, Toby and Harry are often captured by Julie's camera. While the cattle, collar and photography businesses seem like a lot to juggle, Julie wouldn't have it any other way. This week she caught up with the Rural Weekly to talk dogs and how she learnt to take a perfect shot. The Finger family have lived at Hillview, near Clermont, since taking on the lease in 1902. Julie is a fourth-generation grazier. 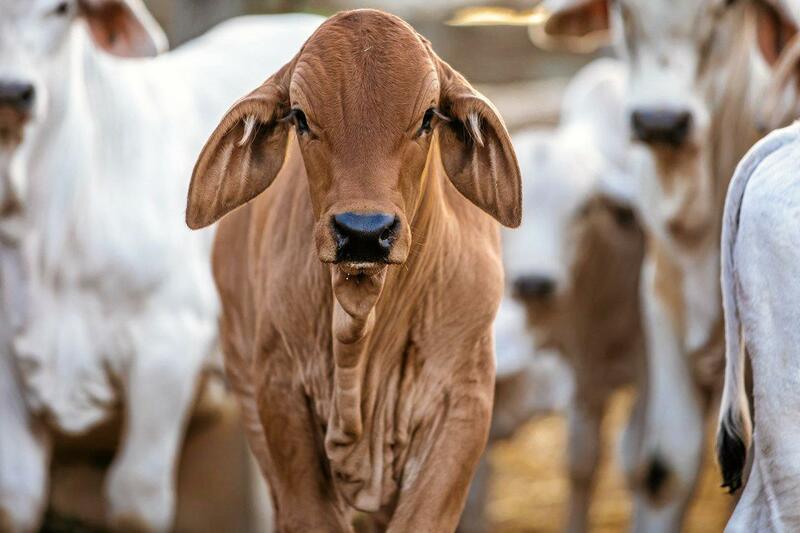 Along with her parents, brother and sister, the family operates a cattle business, fattening and breeding mostly brahmans. Working dogs have been a constant on the property. They originally had blue heelers but after the family members attended a dog school they became hooked on kelpies. "We did a Neil and Helen McDonald school here on Hillview 21 years ago. 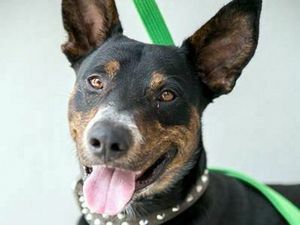 Kelpies were the breed Neil was using," Julie said. "We have found they just suit us. 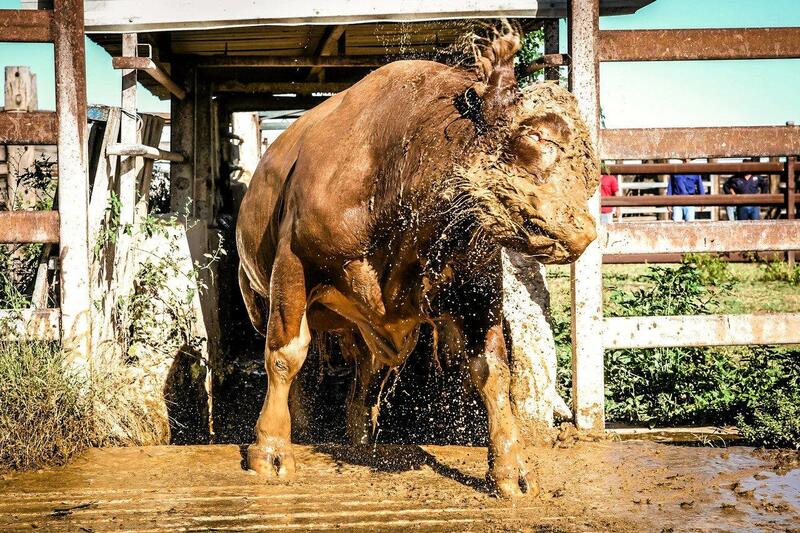 We love their natural ability and the way they read cattle." Skilled staff are often hard to find so the kelpies play a key role on the property. "One person can muster two or three hundred head just on a bike with four or five dogs," she said. 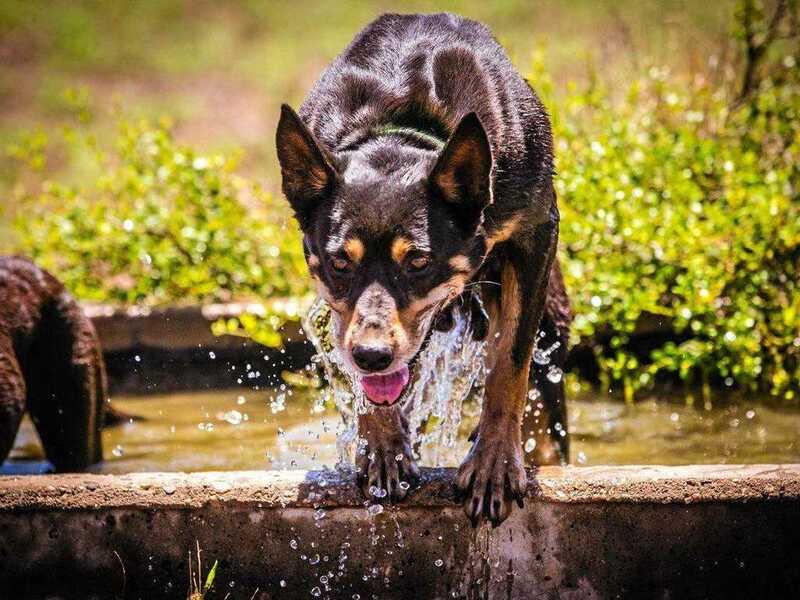 Keen to join the Working Kelpie Council of Australia, Julie registered the stud name Clermont Kelpies 17 years ago. Today she has 21 dogs in her team. Her best are a part of a breeding program and she normally keeps one pup out of every litter, selling the rest on. Needing to take a nice snap of one of her dogs for a magazine Julie became more interested in the art of photography. Through Google and YouTube she learned the basics then attended a Life Portraits workshop, run by a Brisbane-based company that travels to Clermont, to hone her skills. Her shots of sleeping puppies, dogs leaping out of troughs after cooling down and action shots of them working attracted a following of more than 11,000 to the Clermont Kelpies Facebook page. "I think the page catches a huge range," Julie said. "We get the rural people who are living on the land with working dogs. Then there are people who just like dogs and are interested in seeing them in their natural environment working." In recent times Julie's photography range has expanded and in recent weeks she has been kept busy shooting family portraits for Christmas. Needing extra cash to fuel her photography hobby (there is always a better lens or camera) Julie launched another business selling hand-made working dog collars. "I just found it hard to buy good collars," she said. "They kept falling apart, so I started making them myself about 15 years ago." She began selling the collars, which come in a variety of vibrant colours, via her Facebook page. "There were times I was staying up past midnight to stay on top of it," she said. "The demand became overwhelming but now I have a website through Shopify which has made it easier." So, with 21 dogs of her own and regular pups moving into the fold, how does Julie name a puppy? "I let the kids help with that," she said. Search "Clermont Kelpies" on Facebook for more information.